Head Back to School with @piratesbooty! Well, children are back to school again and one thing that is hitting me hard is having to pack a lunch every day for my son. It can be really hard to find the time and energy to pack a healthy and nutritious lunch for my son that will keep him energized throughout the day. I will not include any junk, artificial ingredients or sugary foods in his lunch so it isn't always easy to find foods that I trust that are good for packing in a lunch box. But my definite go-to snack for my son (and one he LOVES!) 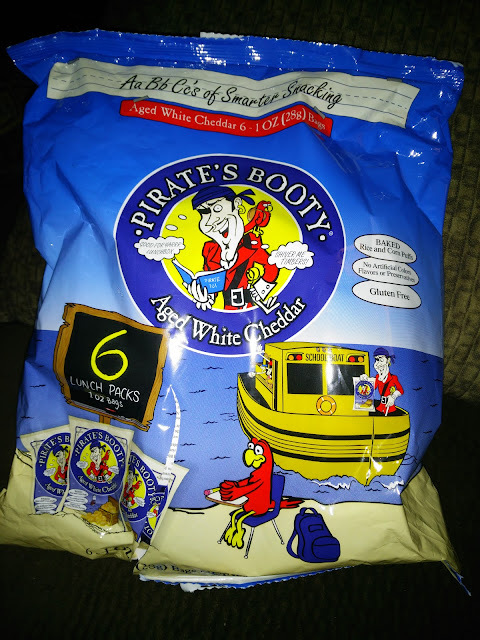 is Pirate's Booty and they have a great limited-edition back-to-school packaging that makes it even more fun for my son to pack in his lunch box! I love the 1 oz bags because they are the perfect size for his lunch box and they are big enough to fill him up at snack time and carry him over to lunch time. Plus, I trust them so much and their ingredients! They are also gluten-free, vegan and made without any artificial ingredients or preservatives! They are cheesy and delicious and my son (and I won't lie...I sneak a bag once in awhile too!) loves them!! Make packing a lunch easier this school year when you have your cupboards stocked with Pirate's Booty! 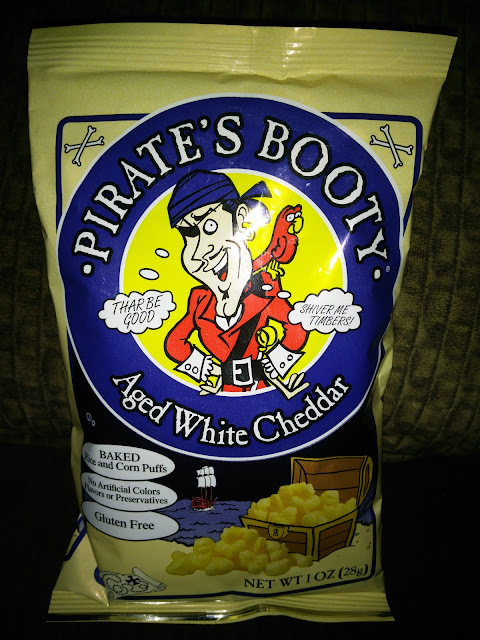 My family loves Pirates Booty and my daughter likes to take it in her lunch.